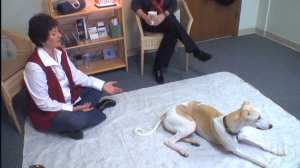 Host Dr. Edmund Sulkowski interviews Renee Takacs, Intuitive for People and Pets, on “Animal Intuitive Communication” which was recorded in the Peters Township Community Television. Host Joan Kaylor interviews Renee Takacs, Intuitive for People and Pets, on Animal Communication, recorded in the Peters Township Community Television. 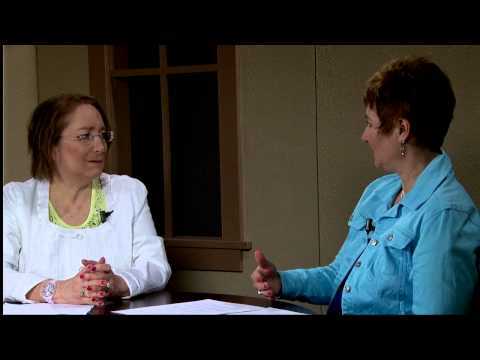 Host Joan Kaylor interviews Renee Takacs, Intuitive for People and Pets, on Intuition and Intuitive Consultations, recorded in the Peters Township Community Television. Let’s Talk Healthy Pets – Animal Intuitive Consultant. Let’s Talk Healthy Pets Oct 2011Host Dr. Edmund Sulkowski interviews Renee Takacs, Intuitive for People and Pets, which was recorded in the Peters Township Community Television. Article on pet communication by Renee held at the Sewickley Spa to celebrate Yuletide in the Village benefiting Animal Friends of Pittsburgh. Article covering Renee’s participation at the annual Collie Frolic benefiting Collie Rescue of Western Pennsylvania. Renee participated in this event from 1998 until 2009 when the organization disbanded. “Stand By Me: A Holistic Handbook for Animals, Their People and the Lives They Share”, by Doug Knueven, DVM, 2003, Renee contributed chapter on Animal Communication. Fox aired a special report segment showing Renee communicating with three dogs: Lily, Griffin and Muffin, whose person’s were Dorothy Andreas, owner of the Sewickley Spa, Don Reinhardt, owner of the Sewickley Café and Natalie Fanell, reporter with Fox TV. In 1999 Fox reporter, Karen Eden and audio engineer, Mike Mason, filmed Renee communicating remotely with Mike’s dog, Lexie. Renee immediately cued into Lexie’s injured left, front leg and said that, given time, it would heal. Film recorded earlier that day showed Lexie’s left, front leg wrapped in a white cast. She had injured the leg but it was, according to Mike, on the mend. Renee explained pet communication and conducted live sessions. The DJ, Kate, had a brother whose cat went missing. Some time later, a cat returned but Kate asked, “Is this my bother’s cat who returned home after being gone for two years? Kate said that when her brother went to school, he left his cat with their mom. The cat disappeared and their mom found a deceased cat along the roadside. She buried it thinking it was her son’s cat. Renee responded, “This living cat is your brother’s cat. He went to live at a farm north of the location of his original home because he liked the food there. Your mom didn’t bury your brother’s cat!” Kate verified that there is a farm north of her mother’s home. In December 2002, grateful for months of reaching a larger audience with her skills, Renee chose to forego radio broadcasts. The broadcasts began to misrepresent the authentic nature of communicating with animals. With the zoo’s permission, the radio show invited Renee to communicate with a reindeer because it was close to Christmas time. The session was edited for broadcast, but the reindeer told Renee that she wanted to be in a bigger, more open space. She wanted to feel real dirt and grass under her hooves and not the cement. She was missing a younger reindeer, who the curator verified had been shipped to another zoo. On the upside, she liked her fresh, green food which the curator identified as alfalfa. She also liked the man who attended to her as he talked to her while he worked. The man supplying food at the time admitted that he did talk with reindeer while feeding them.